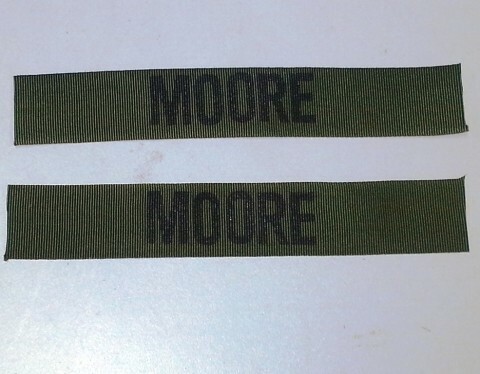 Name Tape Set (2), Stamped, OD Green, Nylon. Your name stamped in black on vintage OD Green Nylon tape. We also have cotton white tape and cotton OD Green web tape. These are sold as a set of two tapes. The set of two tapes is $16, but you can add additional tapes with the same name for $2 per tape (you can mix OD and white).